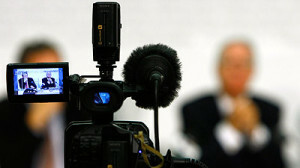 Spotlight Media Booking (SMB) provides guests for television news programs on a regular basis. We work with show producers and bookers every day to get the guests they need for a fast moving news cycle. SMB brings a wealth of contacts and media expertise to the business and measures success by our TV bookings of high caliber guests. Deadlines are always met with industry professional and ethical standards. Our guests are vetted by TV news producers who are skilled in making sure talking points and logistics work for a specialized segment that is broadcast quality.